← How Progesterone as a hormone influences weight loss. Picture someone smart… in fact, go back through history and think of people that changed the course of the world as we know it. Da Vinci, Einstein, Kennedy, Thatcher. How many of them were overweight? When most people think of obesity and its harmful and adverse effects on the body, they rarely think of the brain. Studies from 2003 to present reveal startling indications that being overweight may actually increase the risk for mental deterioration in both men and women. The impact obesity has on the brain is harmful, making overweight individuals more susceptible to decreased brain function, inability to focus and reduced sharpness. 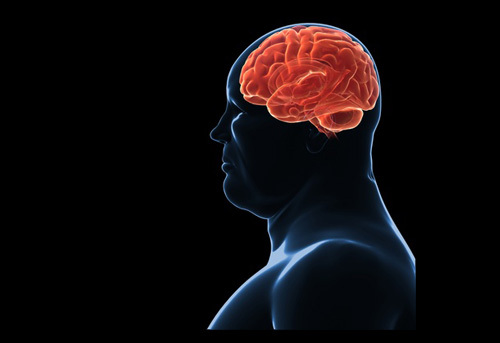 Obesity has been linked to the premature onset of Alzheimer’s and brain inflammation. Let’s look at the details and research findings. About one-third of the adults in the United States are obese. That is nearly 34% of the entire adult population. The disease is becoming an epidemic and linked to a variety of other issues and health concerns across the nation. Obesity-related issues include heart disease, stroke, diabetes, cancer and now Alzheimer’s. Research conducted at the UCLA Medical Center determined that obese elderly patients have an average of eight-percent less brain tissue than those of the same age who are at a normal weight. Researchers determined that severe brain degeneration occurs among the elderly who are overweight or obese, putting them at risk for degenerative brain diseases such as Alzheimer’s. Much of the brain tissues lost were in areas that dealt with planning, memory, movement and attention. Normal weight individuals had a brain that was much more viable and healthy than those who were obese. In fact, medical researchers showed that the brain of an obese elderly individual appeared to be 16 years older than normal. An individual with a large waist circumference, in excess of eight to ten inches larger than normal, may experience inflammation in the brain. Brain inflammation with respect to obesity is not associated with encephalitis or other bacterial induced inflammation, but rather increased inflammation in the hypothalamus. The hypothalamus is that portion of the brain that regulates the pituitary gland, keeps blood pressure balanced and controls feeding reflexes. When a person experiences inflammation in this area of the brain, they are more susceptible to overeating. The process is cyclical – when an individual is obese the hypothalamus becomes inflamed, causing this region of the brain to work improperly, which in turn leads to overeating. An inflamed hypothalamus has trouble recognizing fullness and the person afflicted with the condition has a tendency to overeat. Brain inflammation has also been linked to numerous brain issues, including forgetfulness, short-term memory loss and inability to focus attention. In those approaching their mid-sixties to seventies, an increased rate of forgetfulness occurs in those who are medically considered to be obese. There is no time like the present to make necessary changes in your lifestyle to eliminate the harmful effects of obesity on the brain. If you are overweight or even obese, it is not too late to change the habits that may lead to significant problems for you in the future. Adapting a healthy nutrition plan is the first place to begin. A diet rich in fruits and vegetables, lean proteins and healthy carbohydrates is beneficial in combating obesity. Gradual changes are necessary in order to create longevity with your diet. Try to avoid a ‘cold-turkey’ or ‘crash-diet’ approach to changes in your eating habits, as these lead to failure in the long run. Exercise is the next element to changing your lifestyle. If you are too heavy to hit the gym on a regular basis, then start out slow. A 20-minute walk two times a day to the mailbox and back is better than nothing. Before you know it, you will be jogging with your children and living life again.